What inspired your recent launch of O.co? What should consumers be looking forward to? Byrne: First, we are trying to see how much pickup we get in the US. We introduced it as a shortcut to our US site, but you might hear it evolve into more than a shortcut. It might actually become a complete rebranding. We found a tagline for O.co different from Overstock.com. O.co is the "savings engine" - just as Google was the original search engine, and Bing the first decision engine. We're positioning ourselves as the savings engine, away from the online liquidator, which was Overstock.com. How are you introducing O.co to the public? Byrne: So far, we made it part of our TV commercials. We also provide free shipping to consumers who go directly to O.co versus Overstock.com and promote that via commercials, print ads, and online ads. We are working the O.co brand into press releases and more interviews. All our press releases, even when on other subjects, now refer to O.co, as well as Overstock.com. Last fall, Overstock.com hired its first outside agency, Shift Communications, for US PR work. Why is Shift a good fit? Byrne: They seemed to have the best understanding of the old and new media. They've been really good at helping craft a coordinated, cohesive strategy. 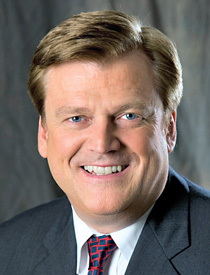 How is Overstock differentiating itself from its e-commerce competitors, such as Amazon.com? Byrne: Amazon.com is mostly about the breadth of their product, whereas we are making our products extremely competitively priced. In addition, we have a car tab that I believe is one of the best car tabs on the Internet. It has features to let people find deals that they can't find elsewhere. In fact, we have special deals with suppliers where they're giving us a price that you can't get anywhere else. Editor's note: Following the interview, the company additionally launched a new vacation tab, featuring packages on hotels, resorts, and spas.